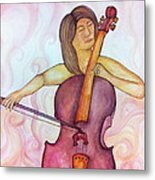 Passionate Cellist by Ashley Grebe - 7.125" x 10.000"
Passionate Cellist framed print by Ashley Grebe. Bring your print to life with hundreds of different frame and mat combinations. Our framed prints are assembled, packaged, and shipped by our expert framing staff and delivered "ready to hang" with pre-attached hanging wire, mounting hooks, and nails. Very beautiful..especially the colors ! 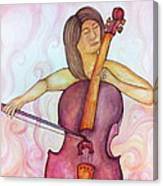 This original watercolor features a female cellist wrapped up in her powerful music. 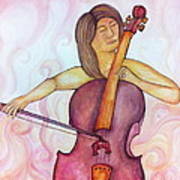 It is an original watercolor painting, signed by the artist. Colors include purples, browns, reds, pinks, and oranges. Measures 19 x 25 inches, can be matted to fit standard size frames. Frame not included.